How To Raise Your Vibration: What does being grounded mean? How do I ground myself? This blog spot has been created to assist you in the Raising of your Vibration. It will provide tips, tools, techniques and knowledge to help you expand your consciousness and raise your energetic frequency. Being grounded means being fully conscious and fully present in the NOW moment.....being very, very aware of what is happening to us in the present. When we are conscious and aware of our SELF and grounded in the NOW we are able to ground the love and light from our higher self. This means that no matter what is going on, we stay balanced, centered and aligned with our soul and higher self and we are able to control our reactive, knee jerk, defensive behavioral patterns of our ego and shadow consciousness. Being grounded is a very, very difficult task because we have an egoic mind that likes to take us into the future of “What If’s” and into the past of should of, could of, would of....... regrets, blame and victim consciousness. When our consciousness is fully in the present moment ~ we are very, very aware of everything happening within and around our being NOW ~ even the core sensations in the body. When we are driving in the car and we arrive at our destination but we don’t remember how we got there.....that is an example of being ungrounded ~ where we let our mind take us into the world of illusions, dreams and fantasies. If during our drive someone honks the horn at us, it will force us to become PRESENT and grounded again and we will become very aware of all the cars around us. But usually, once we drive a little further......our mind drifts out into the past or the present again, we loose our footing, and our consciousness/energy is not grounded into the physical body.....it is out in the ethers. There is nothing wrong with being ungrounded ~ at times, but if we walk around ungrounded....out in the ethers all the time ~ we will not be in control of our emotional, mental and physical bodies and therefore we will not be able to ground our spiritual being ~ that part of us with our higher wisdom into our reality so we can behave and respond in a way that is aligned with our highest good. For example, if someone in the grocery store accidentally bumps into your cart and you are grounded and aligned with your higher wisdom you will simply look at the person smile and move on. However, if you are ungrounded....you may be thinking about something in the past that upset you, and when the person bumps into your cart you may fly off the handle and yell at them telling them they should pay more attention......not only did you have a knee jerk reaction but you also projected your energy of “not paying attention” onto the other person when you weren't paying attention to what was going on in the present moment either. So the best way to stay grounded is to stay fully present in the NOW moment.....this is where our power is. In order to ground our light we must BE the LIGHT ~ NOW. When we are constantly aware of how we are emanating our energy, constantly aware of how we are behaving, constantly aware of where we are and what we are doing we have focus, control and direction. As soon as we get ungrounded we loose our power, control, direction and focus.....we get air headed and spacey and tend to loose our cool when in the face of adversity and oftentimes end up creating karma for ourselves. Everyone experiences being ungrounded from time to time, however, during these tumultuous times we need to do our best to keep ourselves grounded as much as possible ~ especially when we are out in public spaces. I spend a lot of time up in my spiritual body receiving information and writing to assist others on their journey. I am constantly up in my wisdom body, and then having to quickly come down into the physical body so I can pick my kids up from school, run errands and deal with all the 3D obligations that must be done in order to have a balanced happy family. Here are a few tricks I use to help me stay grounded. 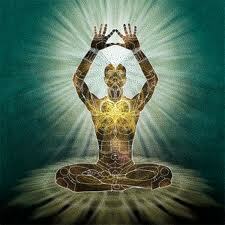 Throughout the day, bring your consciousness....your awareness into your body. Become aware of where you are and what you are doing.....become aware of the smells, sounds and temperature. If you are ungrounded, focus your energy on your feet. Bring all of your consciousness to your feet....wiggle your toes, feel your connection to the Earth. Command yourself to ground. “ I command for my energy fields to align and be brought back into balance and for me to ground fully into the present moment. If you are going to an appointment, an event, a meeting etc....where you feel you could get upset and ungrounded ask for help. Pray to Creator Of All That Is for what you would like to experience and ask your I Am Presence to help you stay calm, grounded and aligned with your higher wisdom. Be aware. Be alert. Be conscious. Be present. Be here, NOW. I really enjoyed this article, thanks! I am pretty new to meditation. I'm taking an Awakening your Light Body Course with Christy Whitman, it is Oren and Daben's Course. I'm really enjoying it. This information is very helpful. I'm going to get your grounding exercise now. Clicked here from your facebook page. ps ... Love your BLOG! How Do We Know What We Are Truly Meant To Be? Where Does Our Soul Come From ~ Which Dimension? Inner Path or Outer Path?